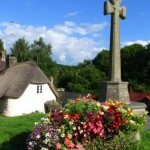 Our beautiful thatched self catering holiday cottage is available for rentals throughout the year. 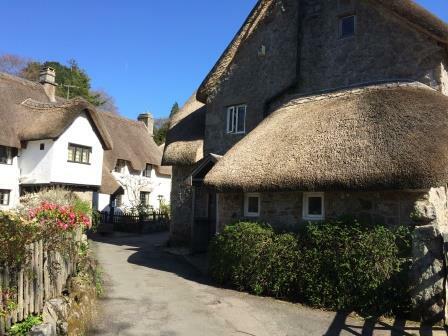 It really is in the most picture perfect village in the Dartmoor National Park, Lustleigh, one of Devon’s hidden treasures. 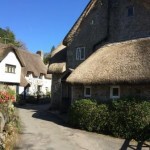 Our holiday home is situated right in the heart of Lustleigh close to the village pub serving great food, the village tea rooms and the well stocked village shop. 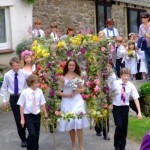 Voted “best Dartmoor village” and “best villages in England” by the Daily Telegraph. 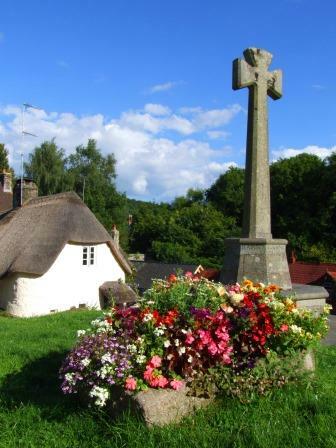 Lustleigh is a truly beautiful Dartmoor village packed with thatched ‘chocolate box’ cottages and a warm welcoming community. 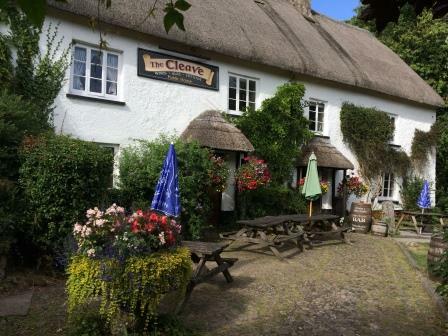 There is a 15th century thatched pub serving fine ales and good food, quaint tea room, village shop full of local produce as well as every day essentials, a 12th century church and a children’s play park within the village orchard; all a stone’s throw from the holiday cottage. 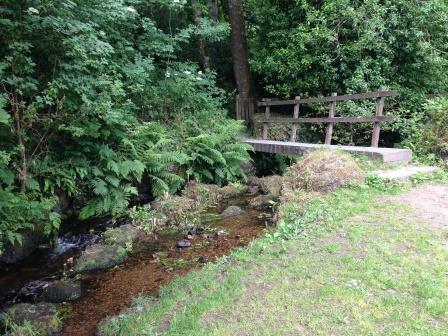 It’s no wonder that Lustleigh has featured in several TV programmes such as “Escape to the Country”. 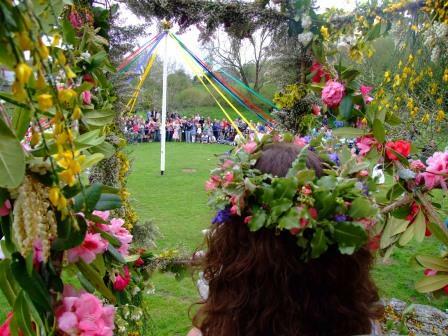 The village orchard is an enchanting place where you can easily believe in fairy-tales and Dartmoor Pixies. 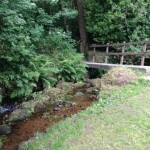 It’s perfect for picnics, exploring, dipping toes in the stream or just chasing a ball around! The orchard is home to the children’s play park which is adored by our younger guests. 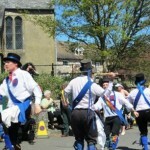 It also plays an important role in village life, it host’s the annual May Day fair where the May Queen is crowned as well as the Boxing Day rubber duck race. 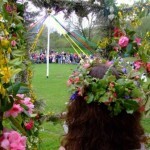 The May Day festival is one of Lustleigh’s most enjoyable events and draws many visitors to the village to enjoy traditional May Pole dancing, Morris dancing and a BBQ. 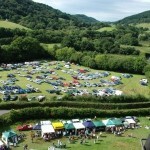 The biggest event by far, in the Lustleigh calendar, is the Lustleigh Show held every August Bank Holiday. 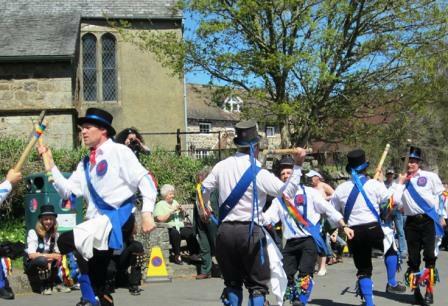 In addition to these wonderful events there’s lots to do and see in and around Lustleigh. 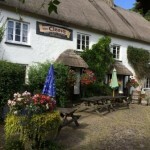 With the stunning Lustleigh Cleave, Hisley Woods, Haytor, Pullabrook Woods and Becky Falls close by, Lustleigh is ideally situated for walkers of all abilities who are looking to explore Dartmoor literally on their doorstep. 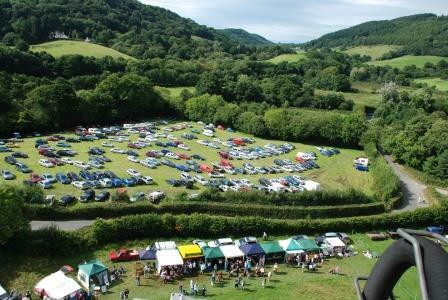 You could be soaking up the incredible views across the Wrey valley one day, followed by a gentle woodland or riverside stroll the next, taking in the numerous “packhorse” bridges in wonder of the thousands of people and cart horses that have crossed them through the centuries. For ideas of good walks please take a look at our Suggested Walks on Dartmoor, several of which start and finish at our holiday home. However, if you do feel the need to get out of the village, Haytor, Hounds tor, Jay’s Grave, The 10 Commandment Stones and Bowerman’s Nose are just a short drive away. 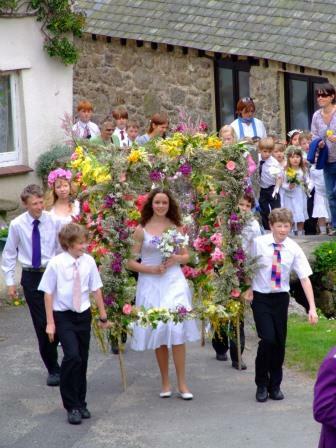 As are Moretonhampstead, Bovey Tracey, Chagford and Ashburton if you need a bit of gentle Dartmoor bustle. With it’s easy access, Lustleigh is also a perfect base to explore both South and North Devon which offer dramatically different coastlines, stunning beaches, quaint fishing villages and seaside resorts. Teignmouth and Torquay are only a 30 minute drive from our holiday cottage and make great days out by the sea.